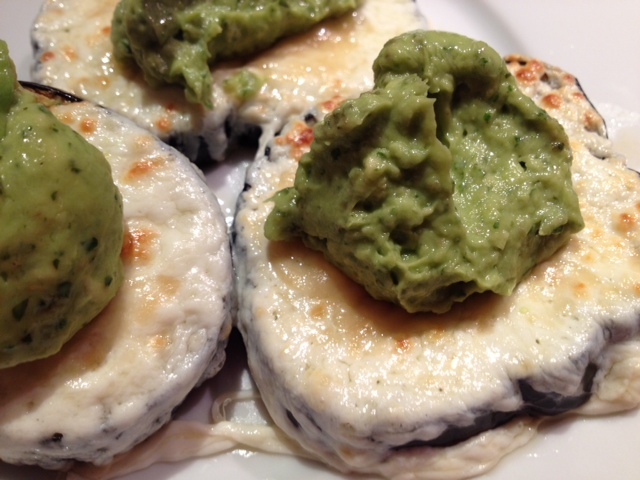 Oven Roasted Mozzarella Eggplant Topped With Avocado & Basil Puree. This dish was the result of a few random ingredients lying around my kitchen. 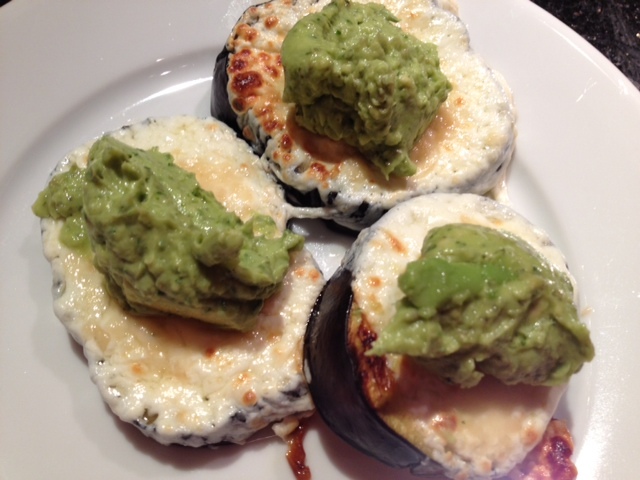 I wanted to make cheesy eggplant dish with some fresh mozzarella I had, but I also had a couple of ripe avocados that I needed to use, so I decided to combine all the ingredients and it turned out great! 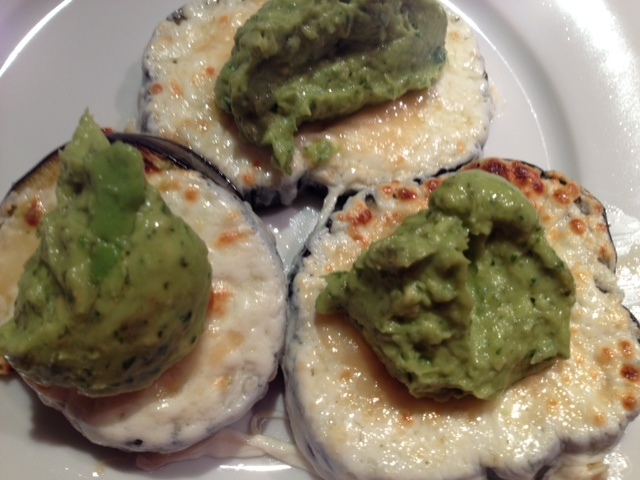 The avocado and basil puree really lighten up the cheesiness of the dish. This dish also has no added salt or oil, the mozzarella/Parmesan adds all the flavor you need! It was a yummy and filling dinner – it could also make a great appetizer for a dinner party. 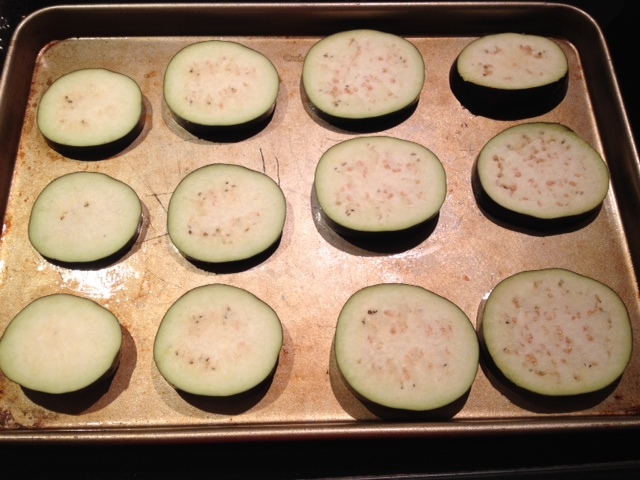 Arrange the eggplant on a non-stick baking sheet and bake in the oven on 425 degrees for 15 minutes. 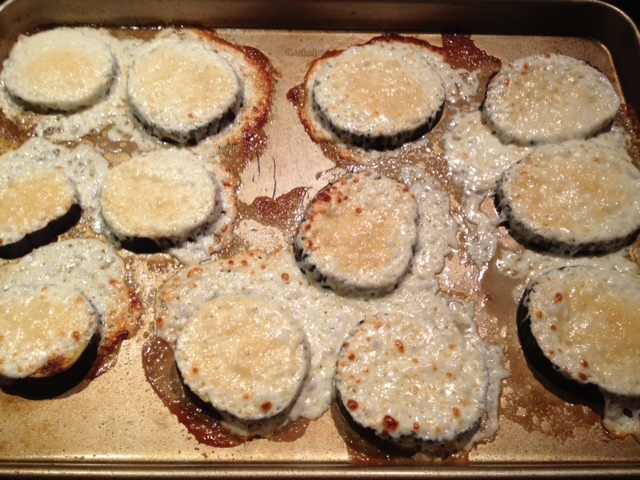 After 15 minutes, remove the eggplant from the oven and put a slice of mozzarella on each piece and a tsp of grated Parmesan on top of the mozzarella. 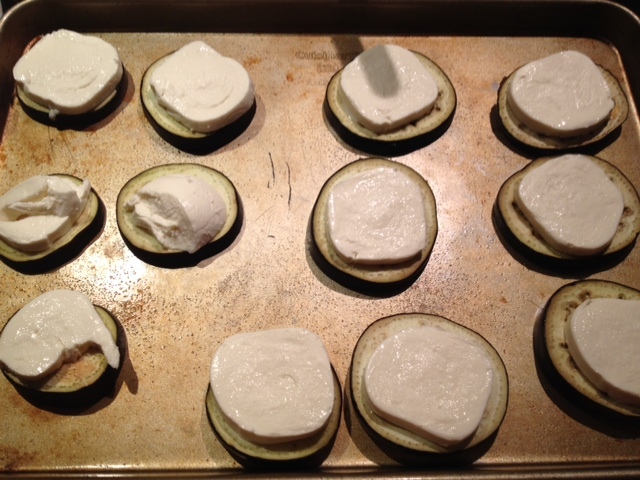 Turn the oven off and put the broiler on high, and put the eggplant back into the oven. Watch closely to make sure the cheese melts and browns slightly at the edges, but doesn’t burn. The cheese will bubble over, this is fine and the cheese will easily come off the non-stick pan during clean up. 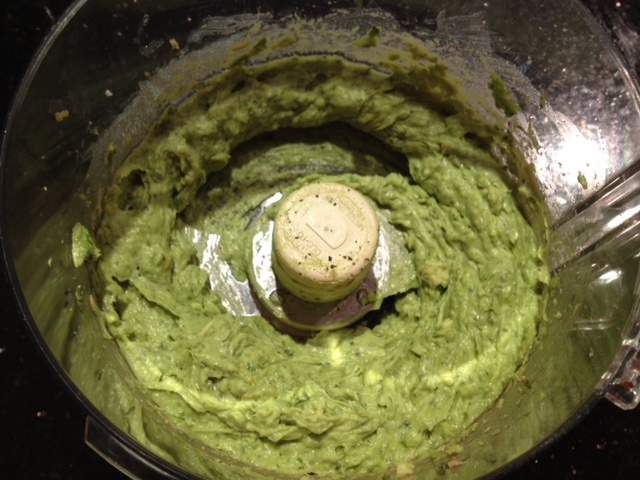 Remove the slices from the baking sheet and top each piece with a small spoonful of the avocado and basil puree. ← Not Your Mama’s Brussels Sprouts.